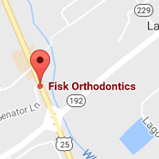 Families of Somerset, London, KY and surrounding counties have trusted their smiles to Fisk Orthodontics for over fifteen years, and we’re happy to welcome you to our family of patients! Dr. Jeffrey Fisk and his talented staff provide a welcoming and relaxing atmosphere for all ages. Fisk Orthodontics utilizes the latest methods and technologies to provide efficient, comfortable treatments for beautiful smiles! In addition to braces for children, teens and adults, Dr. Fisk also offers ClearCorrect™ invisible aligners and appliance therapy when necessary. Our office uses digital X-rays and the latest computer technology to develop customized treatment plans to fit your needs and lifestyle. When you come in for a visit to our Somerset or London office, we want you to feel like you are our only patient. Dr. Fisk provides one-on-one care for every person at every appointment, and our staff love taking the time to know our patients personally. Our practice has a small town atmosphere, and our staff will take the time to make everyone feel at ease. 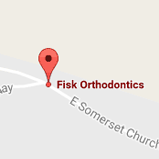 Fisk Orthodontics is known throughout the Somerset and London area for quality treatment results and beautiful smiles that last a lifetime. Contact our Somerset, KY or London, KY orthodontic office for a complimentary consultation, and let us talk to you about your personal orthodontic treatment plan. We also offer a variety of payment options and customized financial plans for patients with insurance. Give us a call today, and discover a truly personal and positive orthodontic experience!